Meet the Staff of Chuck Reynolds Car Co. Inc.
Chuck opened Chuck Reynolds Car Company Inc. in 1996. That is 18+ years of providing locals with quality used cars at great prices. 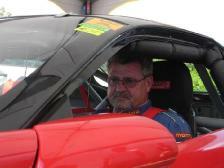 Chuck started in the car business in 1975 as a technician. Since then he has played a role in just about every part of the automotive industry that there is, even racing! Needless to say he knows just about everything there is to know about cars. He is here to work with you. You can tell within the first few minutes of talking with him that he is a straight shooting kind of man. Chuck's goal for every person that comes to our lot is to make sure that their needs are being met. This means making sure they are heard, that they are shown the options that meet their needs, and their finances. Chuck's favorite part of the sale process is getting to know the buyer. Chuck, like the rest of the staff here, would love to sit down with you, visit, and answer any questions you might have. Be it about a vehicle in stock, about a vehicle you want us to find for you, or about the process and best possible way for you to pay for your vehicle, and any and everything in-between. 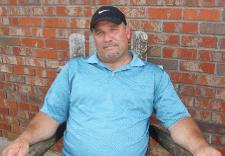 Come on in and meet Chuck Reynolds, you will be glad you did! From the moment you step on our lot, until the time you drive away in your next car, your buying experience with Chuck Reynolds Car Company is bound to be a pleasant one. It is our number one priority to give you the best car buying experience possible. Feel free to research us, it's all positive feedback. We've been in business since 1996, we encourage you to use the expertise and resources of our sales staff; they are here to help you find the right car at the right price. We work with people, not against them like other used car lots. Call us today at 770-886-7177! Or if you already see a great deal you like, come on down and test drive, no appointment necessary. Thank you for your time and have a wonderful day. Renee started working at Chuck Reynolds Car Company in 2007. If this business was a vehicle, customers would be the gasoline, Chuck would be the engine, and Renee the oil. After you have picked out what vehicle will be perfect for you, Renee will be the one you deal the most. She has absolutely perfected the art of getting people through their car buying paper work as quickly and painlessly as possible. She is here to make sure you fully understand the entire car buying processes, from signature to payments, and she is great at it. She is also, usually, the smiling face that will be taking your payments. All of our customers absolutely love Renee. Come on in and meet her! 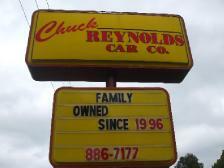 Ron has worked at Chuck Reynolds Car Company Inc. since we opened in 1996. He is in charge of making sure all the vehicles are a hundred percent safe as possible and ready to drive. He is also in charge of making sure all cars sold are detailed; meaning: cleaned, buffed, shined, vacuumed, and all other forms of sprucing until he has produced a vehicle that anyone would be proud to own. Ron is also available to answer any questions you might have. He is knowledgeable about all car makes and models. Like everyone who works at Chuck Reynolds Car Company, he loves to sit down with customers and discuss all of the options and all of the details. You can tell him what your vehicle needs are; and he will tell you what vehicles would meet those needs, how best to maintain the vehicle you choose, and what the best payment options would be for your individual situation. Ron is one of the nicest and most honest men you could ever hope to meet. Come on in and meet him! He definitely wants to meet you!